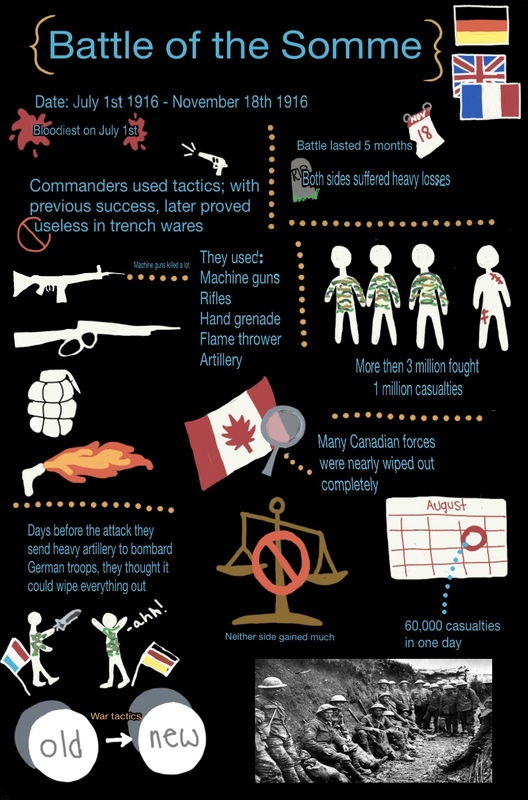 I did my infographic about The battle of the Somme. 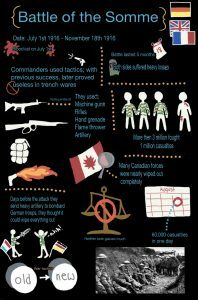 I put in major details and facts about it and things people should learn about it if they hadn’t known about this before hand. I drew all of the pictures and logos by hand.